Their paths never should have crossed, but when drug kingpin, Tremaine (RZA) kidnaps Lino’s girlfriend, Damien reluctantly accepts the help of the fearless ex-convict, and together they must stop a sinister plot to devastate the entire city. With stylized action featuring thrilling Parkour stunts (David Belle is the co-founder of this physical training discipline), Brick Mansions puts an entertaining twist on the action genre. I had been wanting to catch this movie ever since I watched the trailer in the cinemas months ago. DJ Snake and Lil Jon song’s “Turn Down for What” totally hyped up the mood and excitement of the movie. And guess what, it didn’t disappoint me. While many might like having special effects in movies, I preferred the Parkour fighting stunts gave me the adrenaline rush similar to the days when I was doing gymnastics with my school mates. However, I was shocked to see poor reviews about the movie. What went wrong? It was only then that I knew that the film was a remake from French movie “District 13” and they had almost similar cast, with David Belle as Lino in both films. Erm, but who else can carry out the Parkour stunts best other than the co-founder himself? Yes, perhaps I should catch District 13 before further commenting, but I guess this being one of Paul Walker’s last completed movie is good enough a reason to watch the movie. In comparison to District 13 (after watching the trailer – available in the video list below), Paul Walker was obviously a more appealing and reliable action hero than Cyril Raffaelli (I think he can easily pass off as a badass with his look). 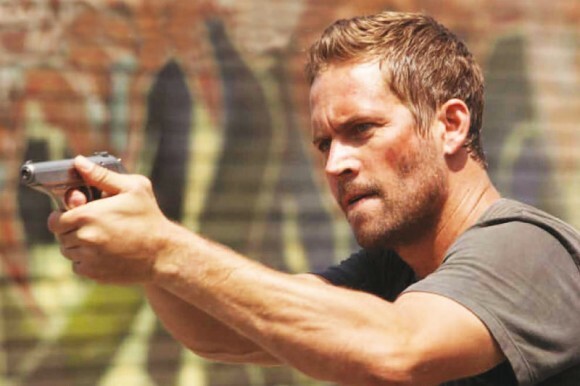 Call me biased, but with Walker’s quiet, calm and strong physicality, the role of the undercover police, Damien might have nothing special or different from his previous roles, but at least, he got to be funny, get a “thug” to be his partner and push his limits physically, ticking off his list of achievements before his untimely and sudden death. It was hard (and painful) to see the man speeding on the screen no longer around, and perhaps it is precisely the reason why I was watching the movie with a different feeling. When Damien (Paul Walker) told his grandfather that he will catch the one last “scumbag” before he retires from his undercover role, then watching the aficionado perform the many car stunts he was probably comfortable with (by then), and the dangerous situations the characters landed themselves in, it was almost disturbing to watch, given the way Paul Walker’s life ended. Despite so, I can’t help but be mesmerized by his wonderful blue eyes, he was charismatic effortlessly. Parkour seems to have made David Belle look way more suave and younger than him in District 13. The action was perfect, but the cliché plot to save the pretty ex-girlfriend (Catalina Denis) felt a little too shallow. There were no elaboration on why they broke up nor why they got together in the end. You will love it if you go for the action rather than the plot, with some impressive slow-mo which might make viewers hold their breath for that millisecond. Watch how Paul Walker make up for his lack of Parkour experience with his jokes, and maybe for once, some of these stunts actually made sense. Paul Walker’s last fully completed performance (although his final film performance was in Fast & Furious 7 which he was filming at the time of his death). This film is a remake of the French film “District B13” which stars David Belle in the same role as in this movie. David Belle is not a fluent English speaker and usually speaks with a very thick French accent. 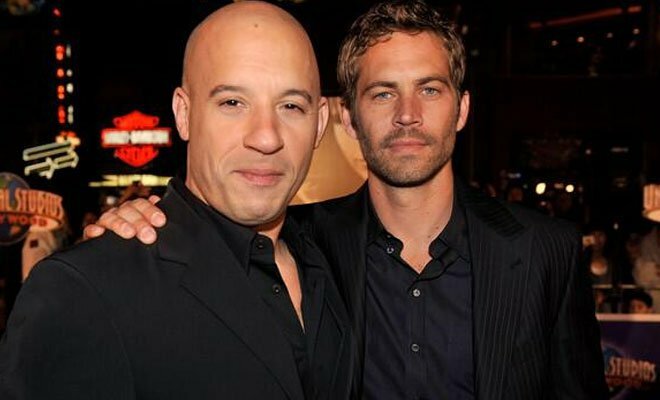 To make it convincing his character; Leno had been a resident of Brick Mansions for years all of his dialogue was dubbed over by Vin Diesel. During a scene in which K2 was bringing Lola to Jermaine’s base you can see Tony D’Amario in the background playing cards with other gang members. 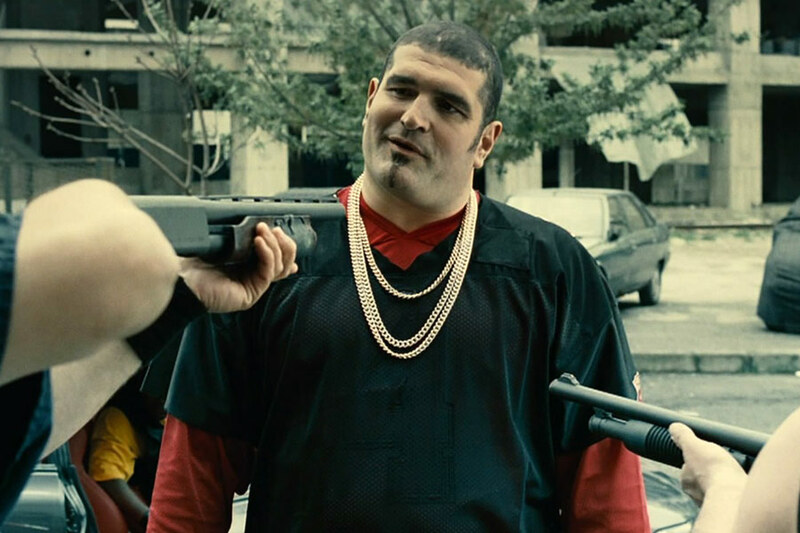 Tony D’Amario played the original K2 in District 13. As Damien and Lino are breaking into Brick Mansion with the large cargo van, an interior shot is the interior of the Mustang GT350. When Lino and Lola are kidnapping Tremaine, Lola puts the car into Drive and hits the throttle and the car goes in Reverse. 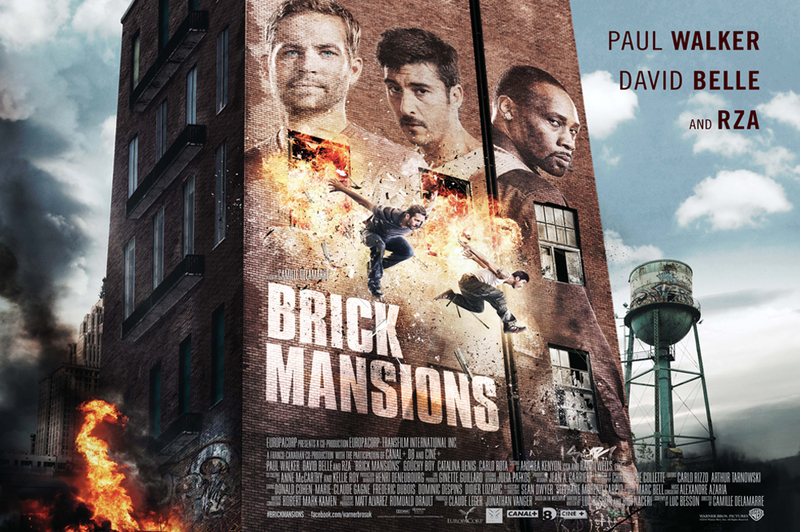 Check out Brick Mansions’ Official Site and Facebook Page! Brick Mansions is out in cinemas on 24 April 2014. Tony D’Amario died in 2005 so he can’t have cameo’d in this film.